Terms of Sale | Sawmill Bay Shellfish Co. In these terms of sale, “we” means Sawmill Bay Shellfish Company (and “us” and “our” will be construed accordingly); and “you” means our customer or potential customer for products (and “your” will be construed accordingly). You will then either receive an order confirmation from us, or we will confirm by email that we are unable to meet your order. Detailed description of Sawmill Bay Shellfish Company products can be found on our website. Prices for products are quoted on our website. We will verify prices as part of our sale procedures so that a product’s correct price will be stated before you are directed to PayPal for payment. In addition to the price of the products, you may have to pay a delivery charge, which will be as stated before you are directed to PayPal for payment. The prices on the website include all taxes (where applicable). Prices for products are liable to change at any time, but changes will not affect contracts which have come into force. Payment for all products must be made online via PayPal, or by card over the telephone. We will arrange for the products to be delivered to the address or pick up point indicated in your order. We will use reasonable endeavours to deliver products in accordance with the delivery information given on this website. However, we cannot guarantee delivery by the relevant date. We do however guarantee that unless there are exceptional circumstances all deliveries of products will be dispatched within 30 days of the later of receipt of payment and the date of our order confirmation. Due to the nature of our products, refunds are not available unless the product we supply is defective in any way. For defective products, we will refund the order in full. Subject to the first paragraph of the ‘limitations of liability’ section: these terms of sale contain the entire agreement and understanding of the parties in relation to the purchase of products from our website, and supersede all previous agreements and understandings between the parties in relation to the purchase of products from our website; and each party acknowledges that no representations not expressly contained in these terms of sale have been made by or on behalf of the other party in relation to the purchase of products from our website. These terms of sale will be regulated by Canadian law in the courts of British Columbia. 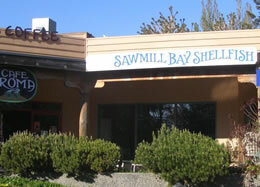 Sawmill Bay Shellfish Company is incorporated in British Columbia. Our incorporation number is BC0790240. We are HST registered, our registration number is 850506189. The registered address is: Sawmill Bay Shellfish Company Ltd, Box 233, Heriot Bay, British Columbia, V0P 1H0, Canada. We can also be contacted by email (sales@sawmillbay.ca) and phone (1250 285 2724).